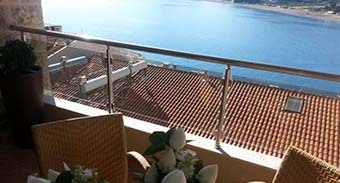 Besides being Montenegro's main seaport, Bar and its surroundings are also a major tourist destination. Today's Bar is a modern city, built almost entirely after World War II, with modern buildings, wide boulevards and lots of parking space. Although there are some nice cobble beaches in Bar itself, many tourists choose destinations in other small towns in Bar municipality, notably Sutomore, with its beautiful long sandy beach. The entire area around Bar is mostly untoutched nature, and is rich in vegetation. The Bar municipality also stretches to the southern shore of Skadar lake and encompasses Krajina region. This entire area is suitable for leisure activities and hiking. Smaller settlements near Bar, such as Dobra Voda, Sutomore and Čanj, are favourite destination for sunbathing, as they incorporate long sandy beaches. Bar has a wind blowing for the south about 88 days a year, mostly during the winter. The southern wind is very soft and warm, but raises the waves in the sea. The weather temperature is as in July – about 28 °C (82 °F). There are approximately 2160 sunny hours a year. In winter the temperature drops down to 10 °C (50 °F) the lowest. Beaches Bar has over 44 kilometres (27 miles) of sea coast, including more than 20 beaches stretching over 9 kilometres (6 miles). As soon as you enter the area of the Bar municipality from the direction of Petrovac, you reach Čanj, which has a 1,100 metre-long colourful sandy beach. You can take a boat ride from Čanj to the Queen’s Beach (Kraljičina plaža), which can only be reached by sea. It is a true jewel of the Bar Riviera enclosed by a natural wall of sedimentary rocks. Going from Čanj in the direction of Sutomore, you come across the 300 metre-long Maljevik Beach, offering a natural refuge from the hot summer sun in its thick and fragrant pine forest. For those in search of exciting beaches offering restaurants and bars, Sutomore is the beach of choice. This sandy beach is 1,200 metres long and hosts beach soccer and beach volleyball tournaments throughout the summer. Near the famous medieval monastery complex of Ratac there is the Red Beach (Crvena plaža), named after the colour of its fine sand. The beach is surrounded by a pine forest and located about a hundred metres from the main road to Bar. Just before you enter Bar town centre there is the 1,200 metre-long Žukotrlica Beach. It is a gravel beach, surrounded by a pine forest and varied Mediterranean vegetation. The Town Beach (Gradska plaža) is located in front of the castle of King Nikola and extends over 750 metres. It is made to cater for different tastes – one part of it is covered in fine sand and the other is pebbly. Many tourist facilities, the “Princess” Hotel, sports pitches and King Nikola’s castle with a park hundreds of years old offer entertainment to visitors and complete their enjoyment of the charms of this beach. Some ten kilometres from the centre of Bar in the direction of Ulcinj, there is one of the most visited beaches of Bar – Big Sands (Veliki pijesak). It is 380 metres long and located around 250 metres from the main road. 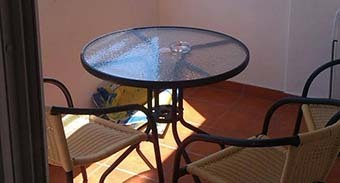 It is surrounded by numerous tourist facilities, restaurants and discothèques. On the border of the Bar and Ulcinj municipalities, in the village of Bušat, is the location of the Olive Wave (Val maslina) Beach, named after the nearby olive groves. It is a 200-metre-long pebbly beach adhering to the highest ecological and technical standards and it is marked by a blue flag, a symbol of a top-quality beach. Bar has got not only beaches on the sea, it also has some very beautiful beaches on the Skadar Lake. Like the beach in Murici, which is the most beautiful and biggest on the lake. It is a sandy beach. The other famous one is Pjesacac, which is also a sandy beach and a very nice place for relaxing and enjoying in the sun. Crna gora Herceg novi from 5eur Sobe sa zasebnim kupatilom, za 2 ili 3 osobe, zaseban ulaz, frižider, rešo sa dve ringle, wi-fi. Privatni smeštaj Civović raspolaže sa dvokrevetnim, trokrevetnim i četvorokrevetnim apartmanima i sobama. Smeštaje se nalazi u vrlo lepome delu mesta Šušanj ispod hotela Adria odnosno pored hotela Talas. Kraj u kome se smeštaj nalazi je idealan kako za odmor ljudi sa porodicom tako i za osobe koje žele da se bave rekreativnim aktivnostima. Ukoliko želite postoji mogućnost pansionske usluge u obližnjem restoranu koji je udaljen 20 metara od smeštaja. Uz duž sređene plaže nalazi se borova šuma što Vam daje opciju da uživate kako na suncu tako i u hladu tokom dana. U neposrednoj blizini se takođe nalaze staza, sportsko rekreativni tereni kao i dvorana. Voda je konstantno obezbeđena. Mogućnost organizovanja prevoza od/do autobuske stanice ili železničke stanice. Potpuno nova, prostrana i udobna kuća - apartman "Klara" smještena je na obali Crne Gore u uvali Paljuskovo sa polu-privatnom plažom. "Klara" je savršen izbor za one koji žele miran odmor bez gradske buke i gužve. Udaljena samo deset minuta vožnje od gradova Bar i Ulcinj, savršen je izbor za one koji žele posjećivati kulturne-istorijske znamenitosti ali i noćni život na primorju Crna Gore.Mirna, polu-privatna plaža Paljuškovo nalazi se samo 80m od kuće, dok je veća plaža Utejha sa restoranima, kafićima i prodavnicama u prvom susjedstvu. Kuća može udobno smjestiti 10 ljudi. Ima 5 spavaćih soba, 3 kupatila, predsoblje, dobro opremljenu kuhinju, kao i veliki dnevni boravak i trpezariju koje vode do dvije velike terase s predivnim pogledom na Jadransko more, plažu i ostrvo Stari Ulcinj. Osim dvije velike terase, četiri spavaće sobe imaju vlastite privatne balkone s pogledom na more. Kuća ima vlastiti parking, SAT TV, DVD player, audio, roštilj, mašinu za pranje rublja i klima uređaj. "Klara" je oaza mira i tišine, nudi sve što vam je potrebno za ugodan i nezaboravan odmor.